A legs-up test has been performed on a 37-year old patient suffering from severe pancreatitis. His heart rate was elevated, blood pressure and stroke volume depressed. This patient did not tolerate fluid administration during a first attempt and was put under mechanical ventilation. A legs up maneuver resulted in a significant increase in stroke volume. Therefore, A decision was made to give fluid to the patient. 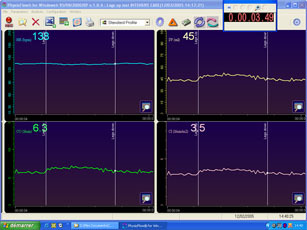 The fluid was tolerated thanks to the ventilation and the result was a much better hemodynamic balance for the patient.